It's a little awkward when someone to asks you to bring an appetizer to Thanksgiving. You don't want to bring anything remotely heavy, but a veggie plate somehow feels inappropriate. Not to mention it needs to complement the dinner. 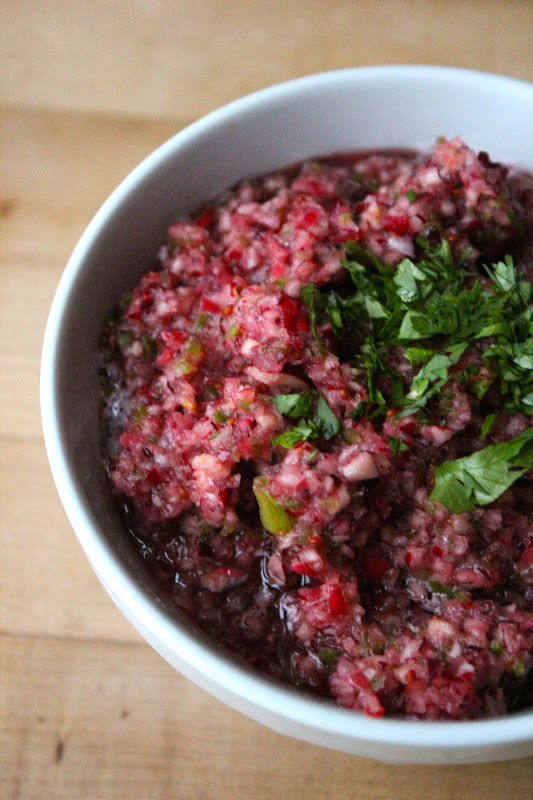 Whether your hosting or a guest, this cranberry salsa is a perfect fit. Enjoy with your favorite tortilla or pita chips. And it is KILLER on leftover turkey, so be sure to save some for yourself. 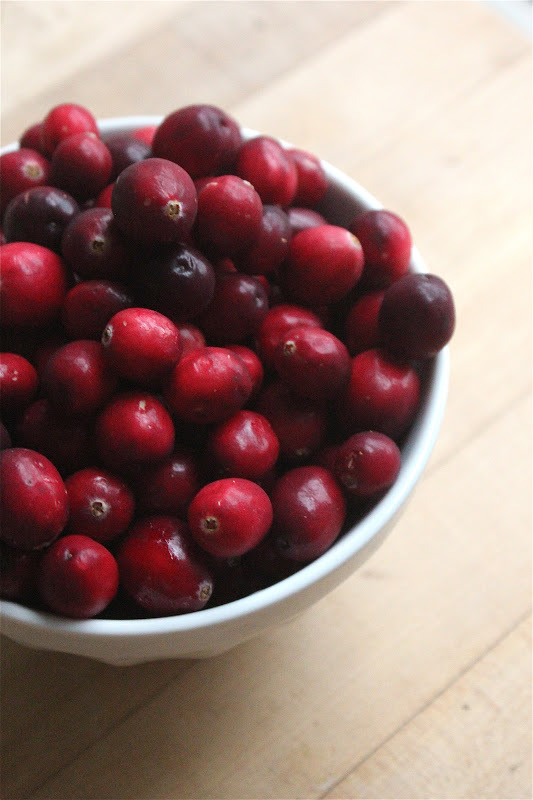 Fresh, gorgeous cranberries are the star. Added bonus, you're actually hitting your fruit groups for the day (as opposed to the soft cheese and pie groups you'll hit up the rest of the day). 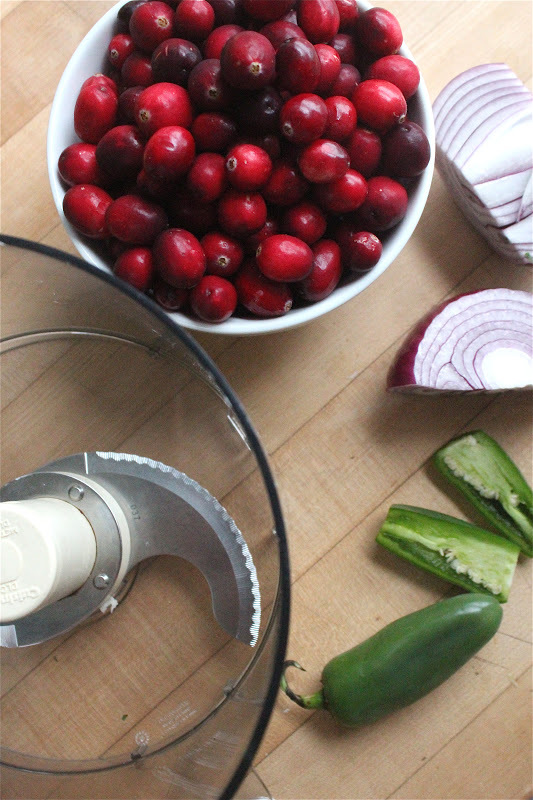 And let your food processor do all the work here. Seriously a five minute appetizer, does it get any easier? Combine all ingredients in food processor and pulse until mixed. Can be prepared a day in advance. Serve with tortilla and pita chips.